Sark Enterprises commenced its activities in the year 1996 as a seller of self-printed various tax forms specified & required to be maintained/submitted as per the rules & regulations of direct & indirect taxes of the country. Such type services were rarely available at that point of time. This was and is very much essential service for all tax payers then and is so even today. In subsequent years we started selling books & journals relating to tax matters, getting import/export codes, passport and consultancy in central excise & service tax matters. 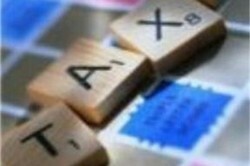 The firm offers variety of tax services to its customers. We have a team of Sark Enterprises members qualified in Indirect Taxes who all take great pride in their work and keeping the customer happy.